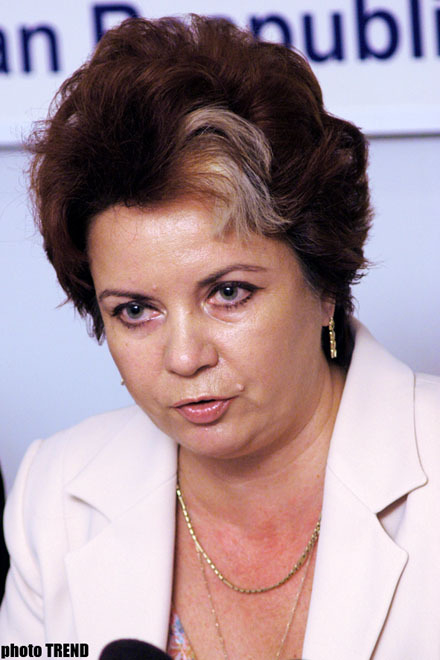 As comprised with the results of the elections held in 2004, there are improvements in the municipal election held on 6 October in Azerbaijan, the Head of the Delegation of the Congress of Local and Regional Authorities of the Council of Europe Ludmila Sfirloaga told a Press-Conference on October 7 in Baku, Trend reports. According to her, a general technical improvement was noted in the organization of the elections. Generally irregularities were revealed between the signatures registered on the voting list and votes found in the ballot box, family voting, over-zealous assistance within the polling booth, etc. The voting took place within the framework of local legislation, but there are other commitments still to fulfill, Sfirloaga added. participation of the main opposition parties in the elections, the small number of female candidates, or their total lack, the low level of the election activity. In this connection, the experts consider necessary to organize special joining trainings with the Government of the Country aimed at persons involved in the election process. Mrs. Sfirloaga told that that a detailed report will be prepared and then will be submitted to the Bureau of the Congress for further consideration, after these recommendations will be followed to the Azerbaijani Government.